A couple hours later, Pierce woke up to the sound of his alarm clock. Slapping it, he turned back over and tried falling asleep. Only to hear someone calling his name. "It&apos;s 7 in the damned morning! Whoever it is, what do you need?!" Pierce yelled while getting out of bed and stomping out of his room. Elder Genevieve was sitting on the couch, not looking up at Pierce but looking at the sleeping Cordelia. "What Genevieve?" He hissed, being very mad that first his alarm clock woke him up and now she was calling him. She pointed to Cordelia who was still sound asleep after all his yelling and stomping around. "Her. Some new toy?" She asked and peered up to Pierce finally. But only for a second then turned her head back to the sleeping girl. Pierce shook her head. "Just a prisoner." He mumbled and headed back to his room for sleep. "Well if she&apos;s just a prisoner, then why isn&apos;t she in the prison. Where all prisoners go?" Genevieve asked, being very intrigued and wondering why the girl wasn&apos;t in the prison. Growling, he turned on his heel to fully face Genevieve. "I don&apos;t know. Would you like to take her back?" He questioned her, only to be laughed at by the elder. "I see what&apos;s going on." Genevieve said happily and sighed deeply. Pierce crossed his arms over his chest. "No you don&apos;t you have no idea what is going on." He told her sternly. She turned her head to look at him. "I do know what&apos;s going on, young alpha. 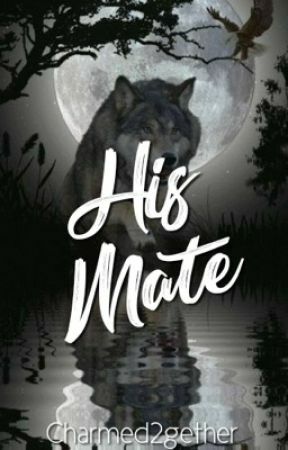 When you attacked that pack yesterday, you found her and knew that she was your mate." She told him then looked back at Cordelia. "Even though you don&apos;t want to admit it, no matter if you just met her, no matter what promise you made to yourself after they died, whatever. You care for this girl. You found her and instantly fell in love. You know I&apos;m right. So just break down your walls, Pierce. If you don&apos;t, you&apos;ll be left heart broken and in pieces. And I&apos;m afraid no one will be able to help you pick up those pieces. Especially me." She looked back up at him and knew she got through to him. But she knew it wouldn&apos;t be easy for him to follow through. He was stubborn and grew cold. Shying away from love and affection and he taught himself that at a young age. It would take him time, a lot of time, but she knew the young alpha would eventually would stop trying to be so big and mean and allow himself to love again. "I know you&apos;re afraid. But you&apos;ll get used to the idea of loving someone. I can promise you that, Pierce." And with that, the elder got up and waltzed out of the pack house like nothing just happened. "Genevieve wait." Pierce said when she was half way out the door. "Yes, Pierce?" She asked, turning her head slightly to look at him. "What... What if I am afraid?" He quietly said, not turning to look at the elder. "Take your time, Pierce. Don&apos;t rush." And without another word, she was gone.